It’s Race Day at Road America! Round 7 of the Continental Tire SportsCar Challenge has finally arrived. The MINI JCW Team will look to take advantage of their good qualifying effort today at Road America. 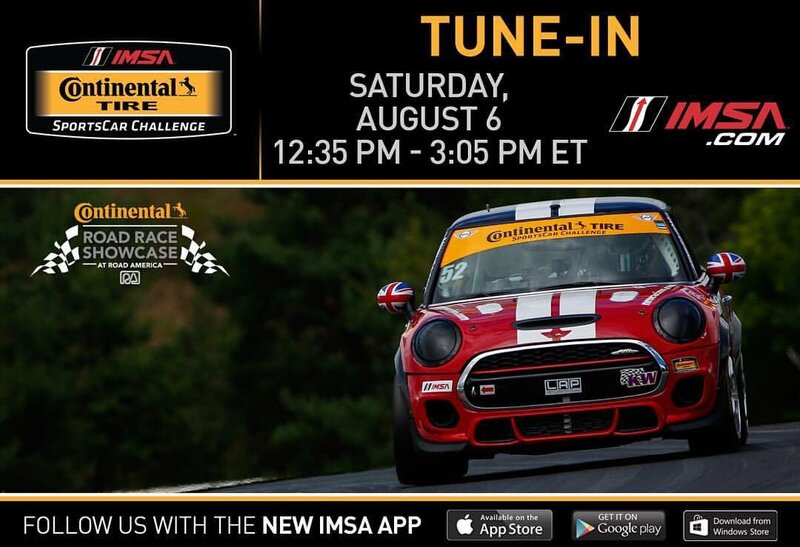 Tune into the live stream at 12:35 PM EST on IMSA.tv or by using the IMSA app.